For the first time since her husband’s death on January 19, Selena Khan had a reason to smile yesterday. Khan, 28, her sons Darian, seven, Darren, six, and Damien, who is fourteen months old, were overjoyed to learn that concerned Newsday readers had reached out to pledge assistance by paying the family’s rent for the next four months. Khan has also been promised groceries and other items. But her happiest moment came with a visit from her deceased husband’s relatives, who assured the young mother that the maxi taxi which belonged to her husband will be handed over to her. 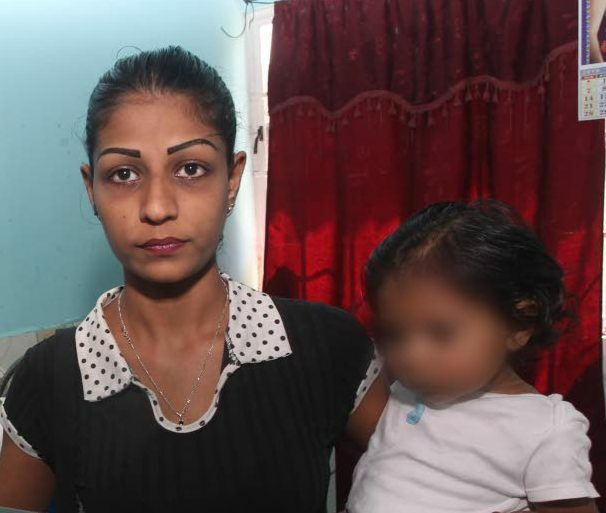 The family plunged into the national spotlight after Khan’s common-law husband and the children’s father, Dayanand Dookie, 39, succumbed to a single stab wound to the chest after an argument at their rented apartment in Cunupia. Khan was detained by police for five nights during an investigation into the circumstances surrounding the death and eventually released without charge on Wednesday night. On Thursday, Khan was given an eviction notice by her landlord, who she said told her she had breached her rental contract. The maxi taxi Dookie drove to make a living was taken by relatives, who Khan said denied her requests for it to be given back to her. “It was all cleared up when I spoke to a relative who promised the maxi will be returned to me,” Khan told Sunday Newsday yesterday. Dookie’s relative declined to speak to the Newsday, saying they had no comment to make. When she learned about the offers of assistance from members of the public, Khan was ecstatic. Khan said she would be taking the children for counselling from Monday as they were traumatised. The donors all wish to remain anonymous. Newsday also contacted Social Development Minister Cherrie-Ann Crichlow Cockburn who promised to contact Khan on Monday and assess her to see what assistance could be given. Member of Parliament for the area Dr Tim Gopeesingh also pledged to assist Khan and her children. Attorney Carlos Waldron contacted Sunday Newsday yesterday to pledge his assistance to Khan, saying he would try to assist in any way he could. Reply to "Help coming for Selena"